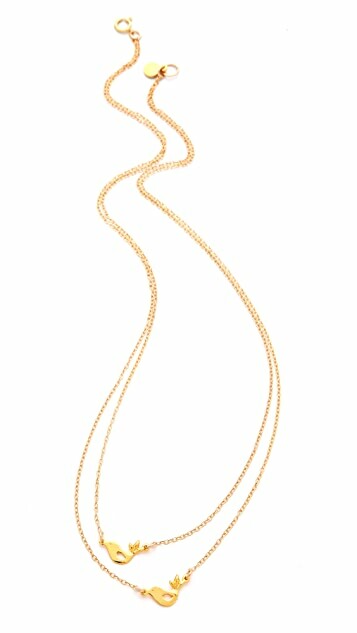 This tiered 18k gold-plated chain necklace features cutout dove charms. Ring clasp. 18" long. Very cute, but get twisted all the time. Flimsy. I have broken it twice when trying to take off my shirt. Repaired it at the jewelry store but this is not worth the money I spent. Like the design though. 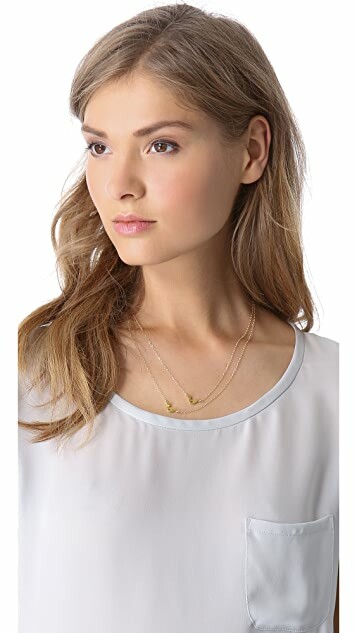 Lovely dainty necklace that goes with any outfit. It is yellow, but not too yellow and I have received a few compliments on it. 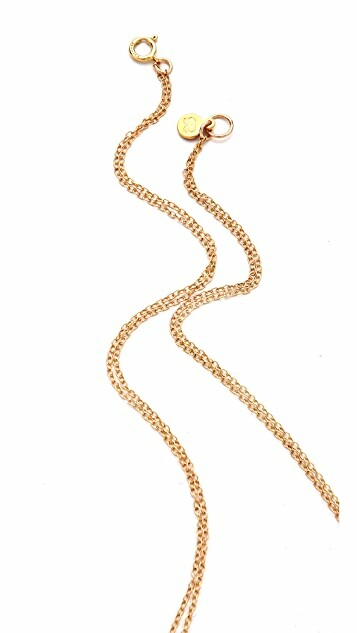 Like this necklace very much... very sweet! Love this necklace! I think it was worth the price. I looks like it is good quality and does not look really cheap (which I was afraid of). Lastly, love the sentiment behind it. I love this necklace and wear it with everything. It does get a bit tangled from time to time and needs to be adjusted, but it is not a big deal. The love birds are so dainty and cute. Very whimsical and girlie. Adds a pop to casual outfits.